Then, insert the USB drive which available with Windows or Ubuntu or OSX installer that wish to boot from into the USB port on Surface device. Press and hold the volume-down button. In the same time press and release the power button while holding volume-down button. Once done with correctly, the Surface Pro will read from the USB drive and initiating OS installation. 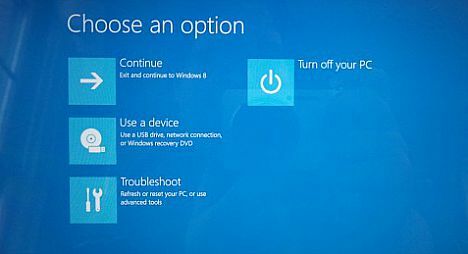 Note: Remember to disable Secure Boot if you are attempting to install any OS other than Windows 8.1 64-bit or later on Surface Pro. Otherwise, Surface device will simply ignore the USB installation drive.